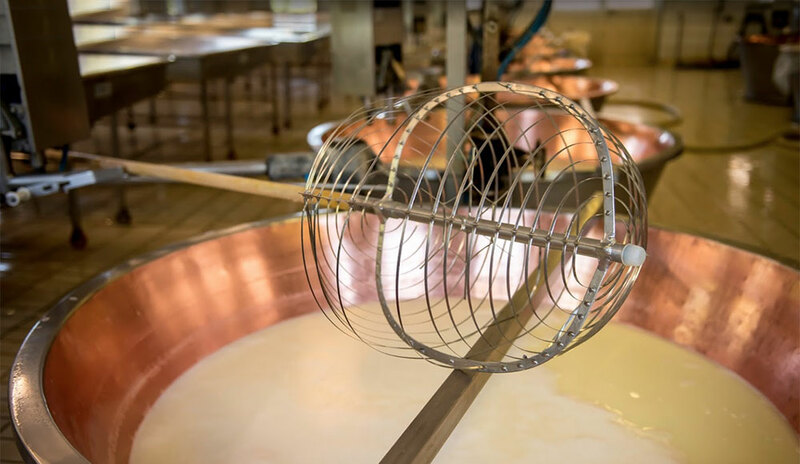 Our hormone-free cows, that produce Reggiano Parmesean, are milked twice daily and arrives at our dairy within two hours. This select milk is all natural without any chemicals or additives. 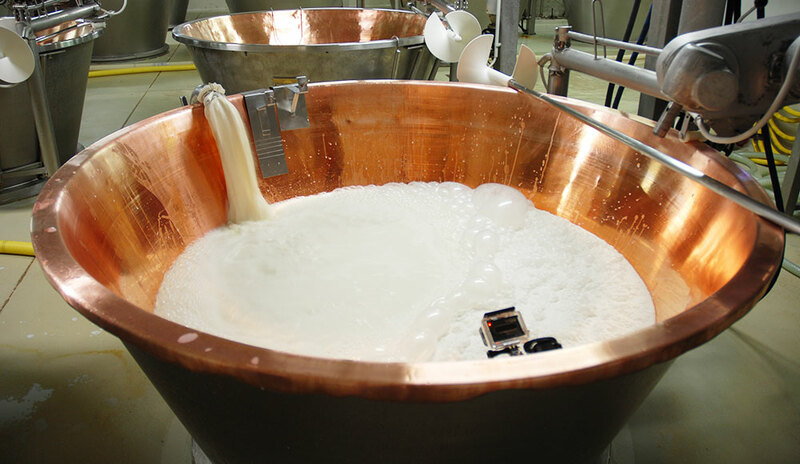 At the end of the day, the milk’s natural fat is skimmed off and blended with the next day’s milk in copper boilers. 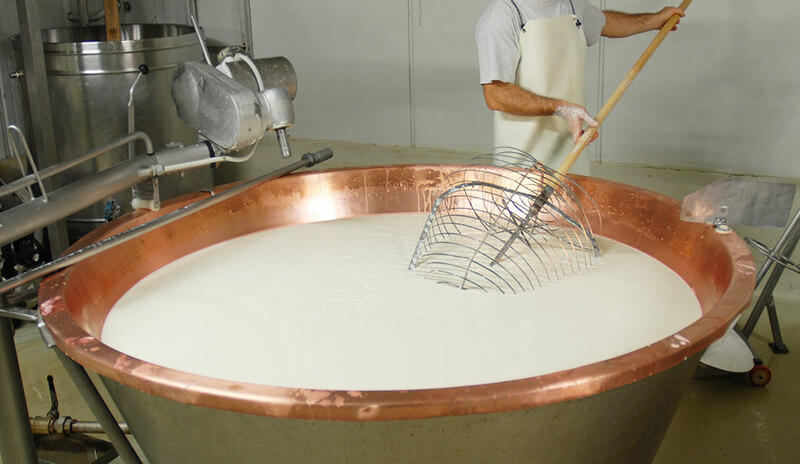 Once the milk has been sufficiently heated, the whey graft is extracted from it. The milk is now ready for the Rennet, a natural enzyme that allows the milk to coagulate faster. The coagulated milk, or curd, is then put through a spier, a cutting foil tool used to break the curd into very small granules. Further cooking of the curd’s granules in a boiler release excess water and leave behind a solid mass of cheese. 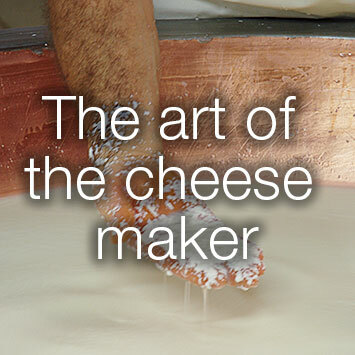 The cheese is taken from the boiler with a wooden shovel, placed on a cheese canvas and hung to dry. The cheese is then ready for the “fascere”, special wood or metal shaped molds for two to three days. After a few hours in the fascere, the cheese canvas is removed and the cheese receives its Paverazzi stamp with its mark of origin. 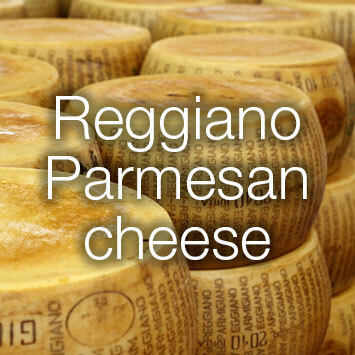 The stamp includes information regarding its classification as true Reggiano Parmesan, the dairy’s serial number, and the month and year. The cheese is now immersed in a salt-brine, a natural saline solution mixture, for almost 20 days to highlight its taste and guarantees a slow aging of the cheese. The cheese is then stored on a wood table and will be periodically brushed and turned over. The entire process can be 2 years or more when the cheese earns its maturity and develops its much sought after fragrance and structure. 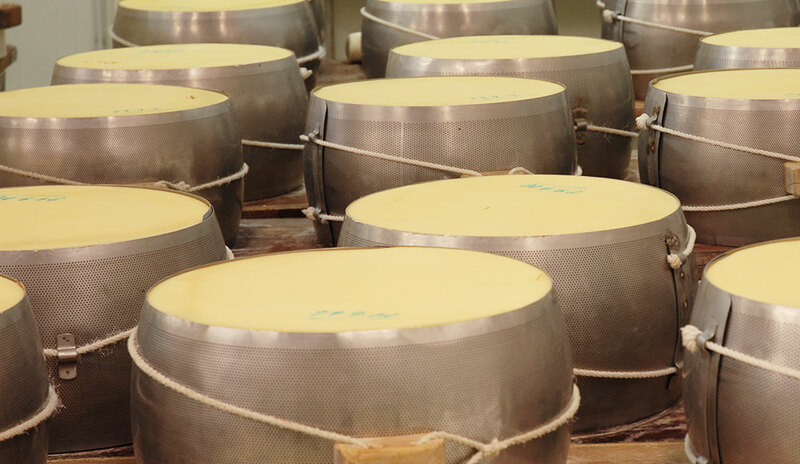 After a 12 month aging period , the cheese is inspected and evaluated on its characteristics. 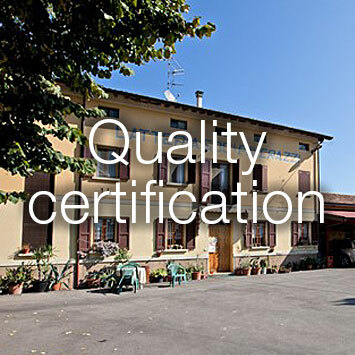 Once the cheese has passed, it receives its “Parmigiano-Reggiano Consorzio Tutela” mark along with the year of its production.